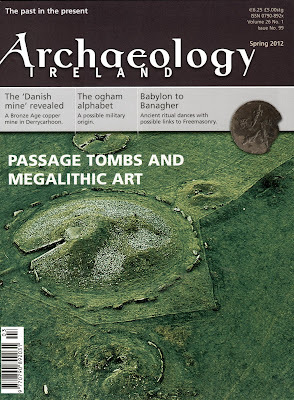 Spring is here and so too is the new edition of Archaeology Ireland magazine! As I have recently taken to providing a slightly annotated contents list of the magazine, I thought I’d put together a few notes on what’s inside. In the first major paper in the current edition, Liam Downey, Connie Murphy & Tadhg O'Keefe report on A possible 'Celtic' icon on the Beara Peninsula. This is recently rediscovered stone from the townland of Billeragh, Co. Cork. While it appears to have disappeared from view in recent years, it was known to a number of the older residents as 'Pete Micheál's god'. The writers describe it as an anthropomorphic figure sitting on folded legs and compare it to various examples of ‘Celtic’ stone idols from across the island, as well as phallus-like stones, such as the Lia Fáil at Tara, Co. Meath. While there is a local folkloric context for the piece, it appears to be relatively recent. The biggest problem, as I see it, is that the stone cannot be definitely described as being crafted by human hand – at least not on the basis of the published photographs. Nonetheless, even if it is a wholly ‘natural’ stone, it does not preclude it from having been the object of veneration in the past. I do not doubt that this particular item will be the topic of much further discussion. In News from the Net 25 Eoin Bairéad provides his usual high-quality round-up of internet related items. Of obvious interest to me is his mention of The William Dunlop Archaeological Photographic Archive [Facebook page], for which I am very grateful! You can keep up to date with all the links to the stories he mentions, via his website: here. Lynda McCormack presents Thoughts on the Loughcrew autumnal equinox. In this piece, she draws on her personal experiences of visiting Cairn T, passage tomb at Loughcrew, Co. Meath, for the September 2011 equinox. She uses this experience to examine some ideas about how we today and the people of the Neolithic may have experienced such events and how they interpreted their place within them. She uses a quote from John Berger: “an image can outlast that which it represents” to explore the idea that the Neolithic viewpoint is irrecoverable, but that the physical remains of the cemetery still allow for interpretation and exploration. In Derrycarhoon: a Bronze Age copper mine in west Cork William O'Brien & Nick Hogan present early results on the excavation of a near-vertical mine shaft. The site is of interest as it is the first instance where this form of mining – vertical excavation and without the use of fire-setting - has been identified. The authors trace the modern history of the mine’s discovery in 1846 (when it was considered to be a ‘Danish mine’), and the controversy in recent times as to whether it should be considered as a Bronze Age or a Medieval endeavour. A programme of survey has identified two 19th century mine shafts and six ancient rock-cut trenches. The excavation of one of these (Mine 5b-1) produced samples of worked wood and antler, dating to the Bronze Age. Similarly, trenches excavated through the central area of spoil heaps produced fragments of stone hammers and portions of waterlogged wood. A series of dates on the wood indicated that they were broadly contemporary with the results from the vertical shaft. The recovered artefacts include numerous broken stone hammers, a wooden wedge, a number of hazel prise-sticks, and a portion of an antler pick. The paper also adds seven new radiocarbon determinations to the Irish Radiocarbon & Dendrochronological Dates Catalogue [Facebook], for which I am very grateful. I should also mention the magnificent illustration of the mine shaft on p15. It is a laser-scan profile through Mine 5b-1 and the surrounding forest. Not only is it an immensely detailed and scientifically-accurate rendering of the shaft, it is also an extremely evocative image. It gives, to me, at least, a vivid impression of the human scale of the mine workings at Derrycarhoon and some feeling for what it must have been like to toil there to extract copper ore.
Peter J. Gibson in Geophysical imaging of the Leamonaghan togher describes an investigation of a stone trackway or ‘togher’ in Co. Offaly. The togher runs for over 350m from a well dedicated to St. Manchan to a rectangular stone enclosure, dedicated to St. Mella. Within the enclosure is a single-cell stone oratory, also dedicated to the saint. The enclosure, oratory and togher are all thought to be contemporary, and date to the 11th century. Ground Penetrating Radar (GPR) was applied to the togher in both exposed and covered areas, with the intention of determining its internal structure. Although the lines along the togher appeared quite chaotic, the lines across it indicate that it is constructed from different material than exists on either side of it, continuing to a depth of 2m. This work was followed up by a programme of resistivity imaging. These methods indicate that the togher was not built simply as a layer of stones on the ground surface. Instead, it appears that a trench was first dug and then backfilled, before being capped with stones. This was no small undertaking: it is estimated that this trench was 2m deep, 3m wide and ran for the entire 350m length of the togher. My first reaction is that it seems like an awful lot of work to go to, to provide well drained trackway – as I am unable to think of any other reason to undertake such a feat. I look forward to seeing the results of excavations here that may resolve these interesting issues. Neill Mac Coitir takes on the tricky subject of the roots of ogham in his paper: The Ogham alphabet - a military origin? He prefaces the piece with a general round-up of the scholarship on the topic to date. The alphabet was probably invented in the 2nd or 3rd centuries AD and was initially used on wooden objects, before being transferred to stone in the 4th century AD. It is most commonly found in Ireland, Wales, Cornwall, and the Isle of Man. Mac Coitir repeats James Carney’s theory that ogham was essentially a military cipher, not intended to be read by common people. In defence of this thesis he cites ogham’s use by Cúchulainn in a number of military settings (ignoring that these tales were not written down until the 14th or 15th centuries and all the caveats that go with that). He contrasts this with the single use of the ogham script recorded in early Irish literature by a druid. Carney does not appear to have attempted to develop this theory further, apparently for lack of evidence. Mac Coitir, unfortunately, does not have any additional evidence to add to the discussion, but he does attempt to provide a theoretical framework for the development of ogham and a vector for its dissemination. The theory is quite simple. Going by Ptolemy’s ‘map’ there are tribes called Brigantes in both south-east Ireland (which he describes as the ‘heartland’ for later ogham inscriptions, though that is patently not the case) and in modern-day Yorkshire and Lancashire. While modern scholarship is unable to prove any firm links between these two groups, Mac Coitir claims that ‘it is plausible to assume that ties of kinship linked the Brigantes of Britain and Ireland.’ Just for the record, Strabo mentions the Brigantii, a sub-grouping of the Vindelici, living in the Alps, but no one is proposing that all three tribes are related to each other. The northern Brigantes are significant in Mac Coitir’s thesis as the site of the Roman auxiliary fort of Vindolanda lies within their territory. Vindolanda is the site from which several hundred letters, written on wooden sheets, were recovered during excavations in the 1970s and 1980s. The author suggests that members of the Irish Brigantes went to Roman Britain in the 2nd or 3rd centuries AD and were recruited into the local garrison. While this is around the correct date for the majority of the letters, it is not believed that local troops were recruited at Vindolanda until the early third century AD, at the very earliest. He suggests that a recruit that showed promise might have been taught the Latin alphabet and been moved up the ranks. On returning home this putative military veteran may have seen the advantage of adapting the Latin alphabet to use in early Irish, thus inventing ogham. The belief is that the popularity of this script was taken up by other tribes and its popularity spread, though remaining strongest in the south-east. All things considered, Mac Coitir has produced an interesting, stimulating paper that is well worth a read. Unfortunately, I feel that it is merely a construct where one supposition is perched precariously on top of another, and all devoid of hard evidence to back it up. In The pitfields of Rathcroghan, Co. Roscommon Gary Dempsey examines the phenomena of a large number of sub-rectangular depressions in the ‘Royal landscape’ around Tulsk, Co. Roscommon. These pitfields appear to be peculiar to the Rathcroghan landscape and are not found in other areas. They are generally 10m long by 2-3m wide and up to 0.5m deep. Estimates place their number in the range from 1500 to 2000. Various theories have been proposed for their origin, including the possibility that they are natural features resulting from faults in the underlying bedrock. Indeed, the prevalent pit alignments of north/north-west and north/north-east match up with the pattern of jointing in the natural bedrock. Other work suggests that they are the result of glacial plucking of the bedrock, and that they date from the last Ice Age. An alternative position is that they are humanly created features, possibly dating from the 17th century onwards. One suggestion is that they were created to mix subsoil with topsoil, to improve the fertility of the local soil. Other suggestions for their use include having been used as sources of clay or rocks, or for collecting water etc. It does appear that a number of these pits are cut into older monuments, but are overlain by post-Medieval field boundaries. While not conclusive, this could suggest that they are manmade, though they certainly date to after the main phases of prehistoric activity in the Rathcroghan complex. While Dempsey is unable to put forward any definite answers to these questions, he does call for more research and further investigation. I, for one, look forward to seeing what such excavations reveal. In Achill Henge - Stonehenge or Clonehenge Geraldine Stout wonders about what this recent addition to the Mayo landscape says about modern Irish society. This monstrosity defacing the countryside (just so we’re clear on what I think of it) is composed of 30 vertical concrete blocks with joining lintels. The whole is 30m in diameter and is up to 4.5m tall. While Stout makes some spirited comparisons between this modern example and its Neolithic cousins, it is the comparisons with other members of the Clonehenge tradition that are most enlightening. In these examples the Stonehenge image has been appropriated and manipulated for a whole variety of reasons from the commemoration of Franco’s victims, to more whimsical versions created by the artist Banksy. Interestingly, Stout acknowledges that the way in which the henge has taken on a life of its own may not have been part of the original intention of its creator. Echoing Lynda McCormack’s paper earlier in this volume, there is the feeling that new audiences create and recreate the image of the monument, its meaning, and its symbolism in myriad ways, all of which may be beyond the control of the originator. Marion Dowd, in Lithics with an identity crisis, tells the interesting story of the recovery of a range of worked lithics and shells from the topsoil in her garden at Dromahair, Co. Leitrim. Further investigation indicated that the topsoil may have been transported nearly 30km, from a site at Larass/Strandhill, Co. Sligo. She presents an excellent argument that, though limited, such finds can still contribute to our knowledge of prehistoric activity. Dowd also notes that we should be mindful that some artefacts recovered from the plough zone may not be directly associated with the area in which they are found. Although long-distance transport (of the kind that resulted in the Dromahair discovery) is probably unlikely before the modern period, she does caution that even 18th and 19th landscaping could have involved significant movement of soil. This reminds me of the story (probably apocryphal) of an archaeologist being sent out from the National Museum in Dublin to a suburban address in that city to examine a beautiful collection of flint artefacts being regularly collected from the topsoil. The story, as it was told to me, had the archaeologists opening a number of trenches across the garden and recovering loads more finished artefacts, but finding no underlying features. It was only when one of the artefacts was found to have the remains of a paper label adhering to it that someone thought to check on who had lived in the house in the past. It turned out that the house had been home to an antiquarian collector and, after his death, his family simply threw his collection out into the garden as no one was interested in it! Whatever the truth of my story, Dowd's paper is a useful reminder that all may not be as it seems when recovering artefacts from the plough zone. This is not the first time that Archaeology Ireland has featured this type of story. In 2004 the magazine published a note from Paul Clarke (2004, 5) recounting the discovery of a hollow based arrowhead on the road at Annaghkeen, near Headford, Co. Galway, that probably fell off a machine transporting soil. In Graveyard 'clean-ups' in County Mayo Suzanne Zajac reviews the various sources of advice for those interested in graveyard conservation. She identifies the significant problem of the conflict between these sites as living parts of the local community, and simultaneously, as part of our historic past. Conflicts can arise when the need to conserve and protect the archaeological remains come comes into contact with the desire to expand burial areas or to create access points. Zajac illustrates these points in terms of some work carried out at the graveyard at Claggan, Co. Mayo. To place the Claggan project in context, she notes the damage that a well-meaning, but ill-informed, group did to Ardagh church, Co. Mayo, in 2009. This incident of damage to a monument led to a moratorium on similar graveyard work. It also prompted the publication of a circular from the Rural Social Scheme (RRS) of ‘dos’ and ‘don’ts’ (Circular RRS 15/2009) for graveyard ‘clean-up’ projects. While Zajac agrees with the requirement to work closely with County Councils, she argues that ‘a sustainable way forward’ for graveyards still in public use needs to be formulated. She sees the compilation of an inventory of graveyards in Mayo as a positive first step in this direction, but feels that there is still some way to go. Muiris O'Sullivan and Liam Downey continue their long-running series of ‘Know your monuments’ with a look at Passage tombs and megalithic art. As is usual for this series, they present an excellent summation of what a passage tomb is and what its diagnostic features are etc. After a brief introduction to the various elements and styles of decoration the authors discuss the Boyne Valley complex, the largest concentration of megalithic art anywhere in Europe. Outside of the Boyne Valley, short, but informative, sections detail recent research at Knockroe, Co. Kilkenny, and a number of sites in Co. Sligo. The final section details the dating and origins of the form, along with a brief examination of the shared elements and differences with rock art. As has been the usual format of Archaeology Ireland for the last several years, the final postings are the inspired whimsy of Herodotus of Ballycarnassus. In Sovereign debt and sofas Herodotus notes how the court case by the Spanish government has succeeded in returning 17 tonnes of treasure from the 1804 wreck of the Nuestra Señora de las Mercedes. The Spanish have said that the coins, valued at $500m, represent cultural heritage and will not be used to pay back the country’s debt … I’m sure we’ll see how that one goes! In Warrior burials he quotes W. F. Wakeman’s Handbook of Irish Antiquities about King Laoghaire being buried standing upright to face his enemies, and how the Ulstermen got around this practice by reburying Eoghan Bel, King of Connaught, face down. As an aside, it may be noted that these two notes are, respectively, his 134th and 135th pieces published in Archaeology Ireland since his debut in Spring 1998 – a truly impressive feat of sustained archaeological drollery! As is pretty obvious from the forgoing, I do not agree with all of the points raised in all of the articles in this issue – that is as it should be! If you are interested in Irish archaeology, at whatever level, I would urge you to go out and buy a copy of the latest issue of Archaeology Ireland. Better still, take out a subscription – this way you get a better deal on the magazine cover price, it is delivered to your door, you get access to the Irish journals on JSTOR and you get the latest issue in the Archaeology Ireland Heritage Guide series. The current one is The Burren, Co. Clare: a guide to the medieval landscape by Elizabeth FitzPatrick. At the very least, petition your local library to stock it! Archaeology Ireland has established itself as a vital artery of communication for both professional archaeologists and the interested public and it deserves our support. Clarke, P. 2004 ‘News: it fell off the back of a lorry’ Archaeology Ireland 18.1, 5. Nowell, A. 2005 ‘An insular dance - the dance of the Fer Cengail?’ Archaeology Ireland 19.2, 36-39. Nowell, A. ‘2010 ‘Dance traces surviving in the ritual of Freemasonry’ Archaeology Ireland 24.1, 26-30. In one publication (Nowell 2005), the author’s name is erroneously given as ‘Newell’. Archaeology Ireland issue 18.1 was erroneously issued as 17.4. Unfortunately, I have been unable to find an online link to Circular RRS 15/2009. Archaeology Ireland is a quarterly publication from Wordwell Books. It is aimed at both specialists and the general reader. Go and buy a copy today! 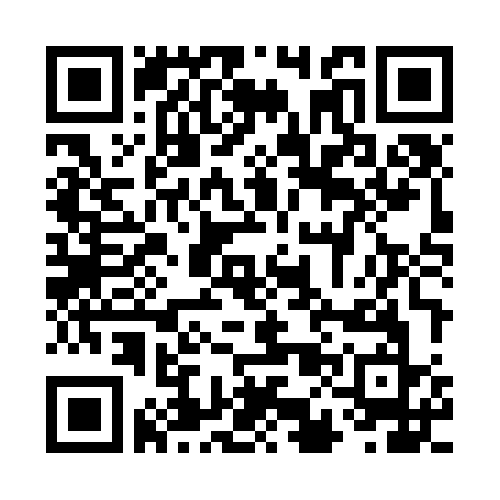 If you’re going to do any (non-Wordwell) shopping through Amazon, please go via the portal below. It costs you nothing, but it will generate a little bit of advertising revenue for this site!